In 2012, Becky Albertalli gave birth to her first son. While he was still tiny enough to fit in her arms, she sat down, opened her laptop and wrote her first novel. She typed her 17-year-old protagonist, Simon Spier, into life in a book called Simon Vs The Homo Sapiens Agenda. Simon is earnest, handsome and likeable, with all the trappings of a lovely life: a handful of loyal friends, a sweet little sister, a car of his own, parents who clearly still adore each other and the sort of school-hall popularity that makes him immune to bullying. Only, Becky gave Simon a secret: he’s gay, and he hasn’t told anyone. She also gave him an anonymous online love interest, a guy known only as Blue. Simon falls for Blue one painfully candid email about sexuality and Oreos at a time, but Blue’s not ready to reveal his identity. Simon scans his school corridors madly, desperately trying to work out who has his heart. His search for Blue unravels with humility, heartache, tenderness and anguish. It ends on a Ferris wheel, where all good romantic comedies should. By the time Albertalli’s eldest son could walk, his mother was a successful and celebrated YA author. By the time he was speaking full sentences and recounting his day, she was signing a movie deal for the adaptation of her much-loved book. 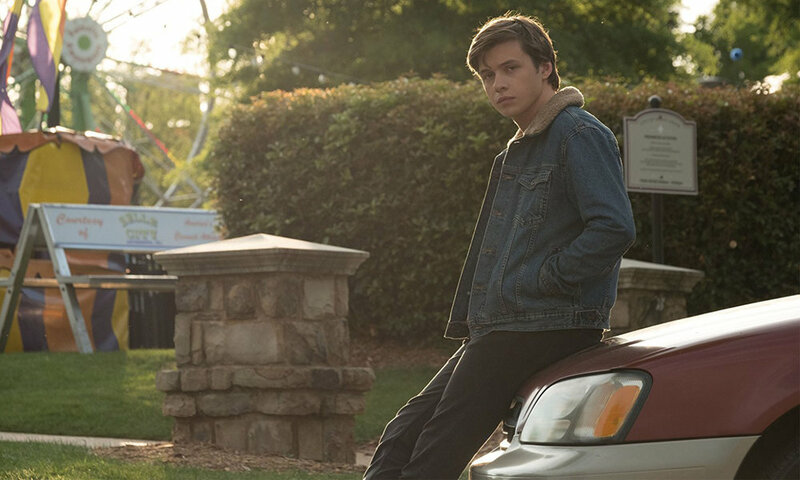 Love, Simon is out in the UK now, directed by Greg Berlanti with a budget of $17m and an offensively attractive cast including Nick Robertson, Katherine Langford, Jennifer Garner and Josh Duhamel. These names and numbers matter, because this is a major Hollywood romcom – a sweet, tactfully told love story about gay teenagers made in an industry that has been notoriously cheque-shy about investing in anything outside the hetero norm. It is an important, long-overdue film. It is also funny, tender and gorgeous.